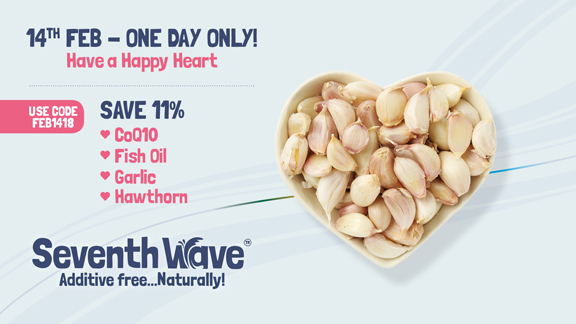 For one day only, save 11% on these wonderful supplements that are so good for the heart... naturally! Like our entire range, they are all totally additive free for the best results. However you spend your Valentines, have a wonderful, happy and healthy day full of love!